Major trends to emerge in the new survey show a vibrant and healthy picture for tourism in the county with visitor numbers on the increase, in addition to expenditure and the number of people employed in tourism. The survey, which is commissioned by Visit County Durham, shows the economic impact of tourism in Durham using the Scarborough Tourism Economic Activity Monitor (STEAM), an industry-standard measure – based on the most recent figures for 2015. The economic impact figures are calculated using data from accommodation stock, visitor numbers to attractions, event data, day visits and expenditure data taken from regional visitor surveys. The figures reflect the county’s rich heritage, outdoors and cultural tourism offer, with strong influences on the positive 2015 results including Visit County Durham’s Regional Growth Fund national marketing campaign, The Bowes Museum’s Yves Saint Laurent: Style is Eternal exhibition which received national and international coverage, and the return of Lumiere – the UK’s largest light festival. Overall expenditure was also up by two percent year on year at £777.5 million. The number of people employed in tourism in Durham in 2015 stood at 10,961 an increase of 1.5 percent. 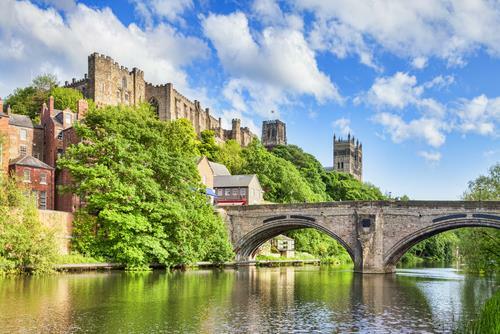 Cllr Simon Henig, leader of Durham County Council, said: “The statistics released are testament to our commitment to ensuring Durham is a thriving place to live, work, invest and visit. These excellent figures are demonstrative of just one aspect of our plan to shine a light on the county and quite literally put it on the map, be that for visitors, residents or businesses.